Every season new shows pop up that I enjoy but don’t earn enough time and thought to warrant the kind of attention I give to Revenge, Person of Interest and others. I broke these into two posts, the second will include two shows that I never, ever in my wildest imagination thought I would talk about on my blog. Part Two: Agents of S.H.I.E.L.D., American Horror Story, and two surprises. I came into Sleepy Hollow knowing none of the background. My ignorance made the first 45 minutes of the pilot pretty difficult as a headless horseman ran around town swatting heads of unsuspecting residents. The first to go was the sheriff who Lost fans know better as Kelvin Inman. What a let down. The last 15 minutes roped me in. Mysterious devils appeared, a man got his neck snapped completely backwards. That’s what I’m talking about! I posted a snap reaction with more thoughts if you care to read them. Sleepy Hollow has stayed pretty good since then but it is falling under the post-Breaking Bad hangover I mentioned in my Minnesota Bloggers Conference recap. After watching the crisp seriousness of Walter White’s story arc I can’t get into a headless horseman the way I could before the binge. I still enjoy it, but I don’t take it seriously. I savaged the pilot but will have more to say soon. James Spader as Raymond Reddington on NBC’s The Blacklist. If any show on this list elevates to more regular postings it will most likely this one. I read the pilot script from Alias right before I watched The Blacklist for the first time and couldn’t help but feel some similarities. There’s spying, a young woman, some mysterious CIA and FBI types. Okay that’s probably where the similarities end, and I must confess to never seeing an episode of Alias. Give me a break, I needed an intro. The Blacklist is a list kept by Raymond Reddington, played wonderfully by James Spader. “Red” went off the grid 20 years ago to live a life in the information trade, before suspiciously turning himself in in the series’ opening scene. He will only work with Elizabeth Keen, a young FBI profiler played by Megan Boone. It is not a coincidence that Spader’s character re-emerged on her first day with the Bureau. The first few episodes give us a look into Keen’s past but not a complete look. Reddington is tantalizing her with insinuations that there is more to her life than she is aware of (that’s an Alias similarity! ), starting with her new husband. After he is brutally attacked in their home, Red prompts her to find a box hidden under their floor. It’s full of passports. Suddenly the man with whom she is going to adopt a child is a suspicious mystery. 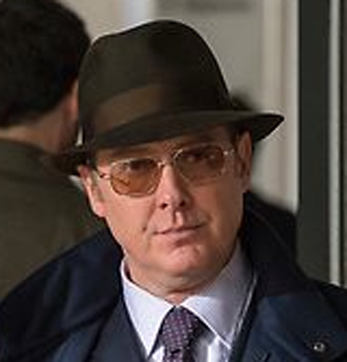 Each episode features Reddington trying to take down one of the international bad guy son his list of names. Each plot gives us a little bit more of the story so we know it is clear his targets are linked for some reason and the reason likely has to do with Keen. I like The Blacklist because it gives the clear indication that there is a lot more to what we’ve seen in its first month. Give me a show with some depth, a few shady government types and some decent drama and I’ll give you my attention. I’m a little apprehensive about Spader’s character turning into one of the good guy/bad guy roles TV has become infatuated with (see: Ben Linus, Walter White, et al). But that’s a concern for another day. Andre Braugher is back! I was excited for Brooklyn Nine-Nine only for this reason. What a disappointment. It is as if you took the worst parts of The Office and gave it the most stale jokes Twitter has to offer. It is not funny or entertaining. After the pilot I proclaimed I would burn my television and move to Dubai if it got more episodes than the great Last Resort, Braugher’s 2012 fall effort. Brooklyn got picked up for a full season, so very soon I will come to you and admit I broke this promise.